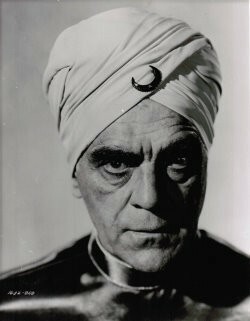 William Henry Pratt (23 November 1887 – 2 February 1969) better known by his stage name, Boris Karloff, was a man who could play anything! He is known in film as Frankenstein's monster, Imhotep in the Mummy, Mr. Wong, Jekyll/Hyde, Morgan, and my favorite, John Gray in the Body Snatcher (which also co-starred Bela Lugosi)! He was a man of impeccable talent who could play any role. Though, he was typically known for his bad guys & monsters, he was actually a wonderfully gentle & generous man who gave all with his big heart. How funny that such an intimidating & frightening man on screen could be such a warm & loving man off screen... which only further credits his incredible skill as an actor. We offer this Tribute piece which is done in his honor, a spell which provides you to be a character of your own... to be able to hide your moods, project a specific persona you desire, to fortify your privacy & security, and to be anything you desire to be to those around you! A very appropriate & wonderful tribute spell!